Heartland Harvest is a full service landscape design / build / maintenance company with locations in Chicago and Libertyville. Our grassroots approach has offered steady growth since our inaugural 2004 season. Planting the seeds for a solid foundation, our abilities continue to generate unique garden spaces, from rolling suburban lawns to downtown rooftop garden design. However you see fit, your landscape project will begin to develop with a strong client/designer relationship. Our landscape design team is dedicated to sustainable practices, brought to you with exceptional customer service. 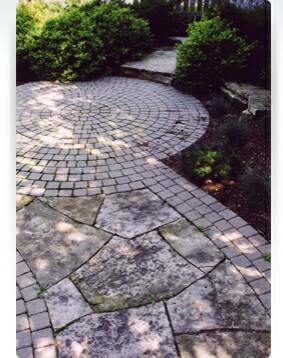 Our specialty: organizing all aspects of Chicago landscaping services. From the design process, through construction, complimented with seasonal maintenance, we are there for you. Founder and President of Heartland Harvest, Gregory Reese, continues to be inspired by natural environments. With a solid core in Horticulture and Professional Degree in Landscape Architecture from Colorado State University ‘99, Greg’s creative vision offers practical solutions to everyday landscape challenges. From the creative design process and construction implementation to seasonal maintenance, Greg oversees all aspects of your professional landscape care. Heartland Harvest is prepared to set into motion an organized professional program to complement your property. Our landscape designers offer a diverse blend of North Shore landscaping services, from full property design to existing landscape enhancement and comprehensive maintenance packages. Within our website, you will see how we can best take care of your property. Heartland Harvest honors industry standard warranties and we stand behind all our work. We take pride in creating harmony between the client and the natural environment. Our goal is to offer you a comfortable connection with nature. A connection you are looking for and the exciting discoveries that come with the territory. . .